My contemporary romances include quite a lot of dialogue which I always enjoy creating. Time spent working on a particularly significant exchange between the two main characters usually exceeds that taken when writing the appropriate same number of words for narrative. 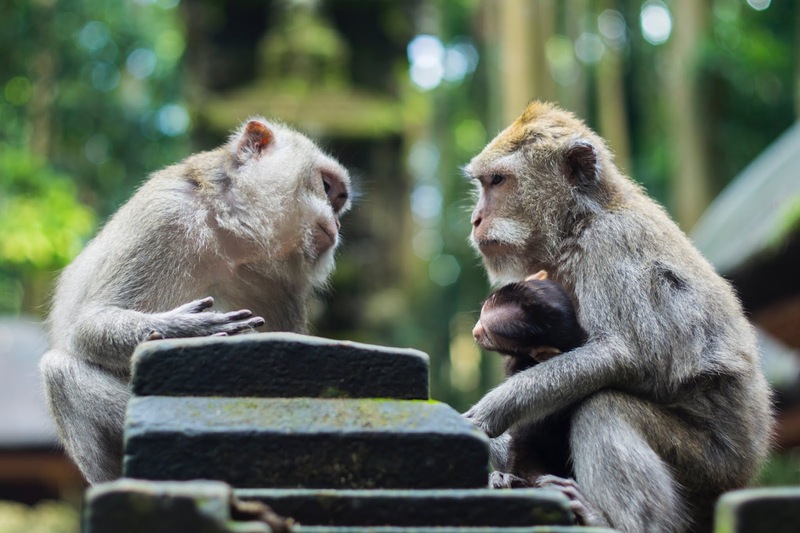 An effective conversational exchange can move the story forward, divulge information including relevant elements of the characters' histories, illustrate personality, foreshadow events, generate tensions, and more. I like to think that one of the most important functions of dialogue is to establish communication from the characters to the reader. I want the reader to get to know them, their personalities and speech habits, to feel drawn into their world, to worry about them, love or hate them, laugh or cry with them. When I've completed the first draft of a conversation, I read it aloud, listening for each character's word choice, sentence length and absence of complete sentences as is of course common in dialogue, tone, style, nuances. Do the speakers sound natural and distinctive from each other? (Or do they sound like me?!) Is the conversation original? Is the purpose of this conversation evident, or is it inconsequential chat? (Though sometimes 'chat' has a place. 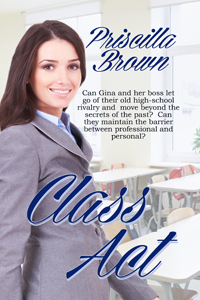 In Class Act, Gina does talk a lot, and Lee jokes that she has a PhD in chatting.) I must make clear who is speaking, so the reader doesn't have to pause to check or to re-read. 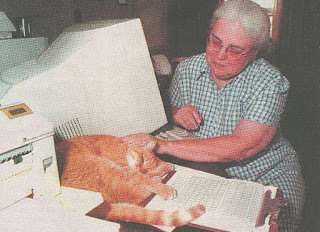 Having fixed glitches obvious when read aloud, my critique partner reads it. Her comments reveal points needing attention which I hadn't spotted. Several drafts later, I'm able to construct a dialogue which satisfies me. The lead characters in Class Act are experts in zippy repartee. In high school, Lee and Gina bounced banter off each other. Fifteen years later, with no in between contact, they've just started working together where he is the boss, and they're struggling to maintain the barrier between professional and personal. In this extract, Lee is playing saxophone in a jazz concert by the beach. He unscrewed the wine, poured two glasses and handed one to her. "Only one for me." he said. "I've go to stay halfway sensible or I won't find my notes. You finish it." She took a sip. "I really like this wine, but I wouldn't be able to walk back." "That's why I brought the blanket. The sand's soft, you can sleep on the beach." "But the tide might come in and drown me, and I have to go to work tomorrow." "I could tell your boss you've drowned." "No, I wouldn't dare not turn up." She shook her head. "You don't know my boss." "Oh? Is he tall, dark and handsome? Tell me about him." "He always needs a haircut, and he's fierce. I don't think he does any work because his desk looks like it's just come from the laundry, all clean, shiny and ironed. He just uses his office as a place to play the saxophone. I do all the work." "What a lazy wretch. You should take your case to the fair work organisation." "I already did. They said to have patience, because he's heading for an international career as a saxophonist, and then I can have his job." He didn't respond. Had he taken seriously her last few words, that she wanted his job? She did, but not for a year or two. She glanced at him. Nah, no way was he thinking about work. His jewel eyes glowed. Their silver lights sparked, sending her a message in flashing neon. Trouble. Lee Wylde was going to be big big trouble tonight. Trouble she didn't know if she could handle. Or wanted to. "Amazing how we still do it," he said softly. "Do?" 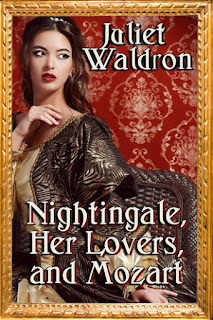 She wrenched her glance from the begging-to-be-touched wisps of black hair curling around the edges of his open shirtfront. "Carry on like that. Like when were were at school." Now I'm off to a cafe to do some secret eavesdropping, perhaps to add to my notes on conversations. P.S. I have no monkeys in any of my stories. I couldn't resist adding these two having a serious discussion. “Village of Meyronne and Hanna farm, ca. 1927"
I grew up on the farm that my grandparents, Abe and Addie Hanna, homesteaded in 1909 and in the farm house that they built in stages between 1917 and 1926. 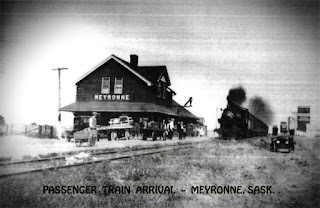 The village of Meyronne, Saskatchewan, only a quarter-mile south of the farmhouse, was carved out of the southwest corner of the farm when the Canadian Pacific Railway (CPR) came through in 1913. Where is Meyronne? you ask. The village – what is left of it – is situated on Highway 13 in southwestern Saskatchewan. The highway is officially known as the Redcoat Trail but it might be more correctly called the Ghost Town Trail. Drive along it and you are hard pressed to see many of the towns that used to exist. Now that almost every grain elevator is gone, what is left seems to disappear into the landscape. A few houses and trees. Possibly a church. Maybe an abandoned school or garage. Maybe a falling-in rink. Perhaps a gas station alongside the highway. Nothing more. A hundred years ago, it was very different. Thanks to the Canadian government’s propaganda, everyone wanted a piece of Saskatchewan where all you had to do was throw the seed on the ground and sit back and wait for the bumper crop to put itself into the bins. Or so the brochures implied. The reality was somewhat different as the homesteaders soon discovered. The place was booming. Farmsteads consisting of a house, barn, and granaries existed on almost every quarter-section. Towns were strung along the rail line like beads on a necklace, six to seven miles apart. 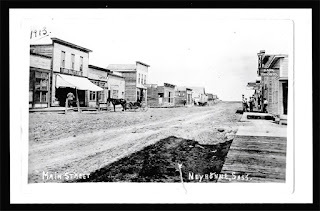 Each town had elevators, churches, schools, town halls, hotels, banks and businesses, and upwards of 100 to 300 inhabitants, plus the surrounding farm population. So many people settled in Saskatchewan in the early years of the 20th century that some optimistic soul predicted the province’s population would soon reach 20 million! Today, Saskatchewan's population hovers just above 1 million. Most people live in cities. The surviving towns and villages are mere shadows of what they once were. They were emptied out as younger generations moved into cities where better education and job opportunities awaited. I was one of those who left. Meyronne has pretty much dried up and blown away. Only a few families still live there. Almost all lots are vacant. It wasn’t always thus. At its height, in the late 1920s, about 350 people lived there. The village boasted three grocery stores, two hardware stores, a butcher shop, a druggist, three cafes (run by Chinese), a laundry (also run by Chinese), a shoe repair shop, a boarding house, two livery stables, three lumber yards, a post office, a pool hall, the Bank of Toronto, a blacksmith shop, three garages that sold either Chevrolet or Ford cars or Massey Harris farm equipment, a three-storey hotel complete with café and beer parlour, a lawyer, a doctor, the Royal North West Mount Police barracks, the CPR station, a confectionary (ice cream, anyone? ), Knox Presbyterian (later United) Church, Our Lady of Lourdes Catholic Church, the public school, the separate (Catholic) school, the Memorial Rink with both skating ice and two curling sheets, a post office, a telephone office, five grain elevators, and a nursing home/hospital. To the east was the sports ground, the cenotaph, and the cemeteries – one for the Presbyterians and one for the Catholics, well-separated by a fence. Village and district gossip, as well as news from elsewhere, was disseminated via The Meyronne Independent, run by R. “Bobby” Johnson. It was the junction of two CPR lines – one from Moose Jaw to Shaunavon, the other from Swift Current to Meyronne. The station master was busy with shipping and receiving freight, sending and receiving telegrams, and selling passenger tickets. The CPR section manager lived there; he monitored the rail lines and ensured the water tower and coal shed were full for the steam engines that passed through twice daily. Highway 13 ran through the centre of town. It was a happening place. Then came 1929. A combination of the depression and drought – the “Dirty Thirties” – hit southwestern Saskatchewan particularly hard. It was essentially the end of Meyronne and many other villages in the area. The decline was slow but steady. 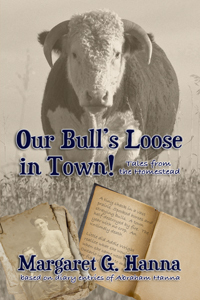 By the 1950s, when I was growing up, the village was only a shadow of what it had been. It declined even more after Highway 13 was re-routed a half-mile north and when the CPR stopped, first, passenger service and eventually freight service. Today, only a few houses, the Catholic church and the cemetery remain. may still show up at some sites. Not a very nice sentiment, but, sadly, this is often true of hard-core history fans. born frail, and lucky to have survived his first hasty transport to the cathedral on the Domplatz of Salzburg. His full name was Johannes Crysostomus Wolfgangus Theophilus. In German translation "Theophilus" becomes "Gottlieb" which in time, after a visit to Italy by the young prodigy, became the now familiar "Amadeus." Wolfgang A.M. got well and truly into my head. My vinyl + CD collections, dominated by Mozart and Haydn testify to this. Upon hearing just a few notes of almost anything he wrote and I can win at a game of "name that composer". Maybe not the exact title of the composition, but I certainly known the Maestro when I hear him. I have a long history with this guy. 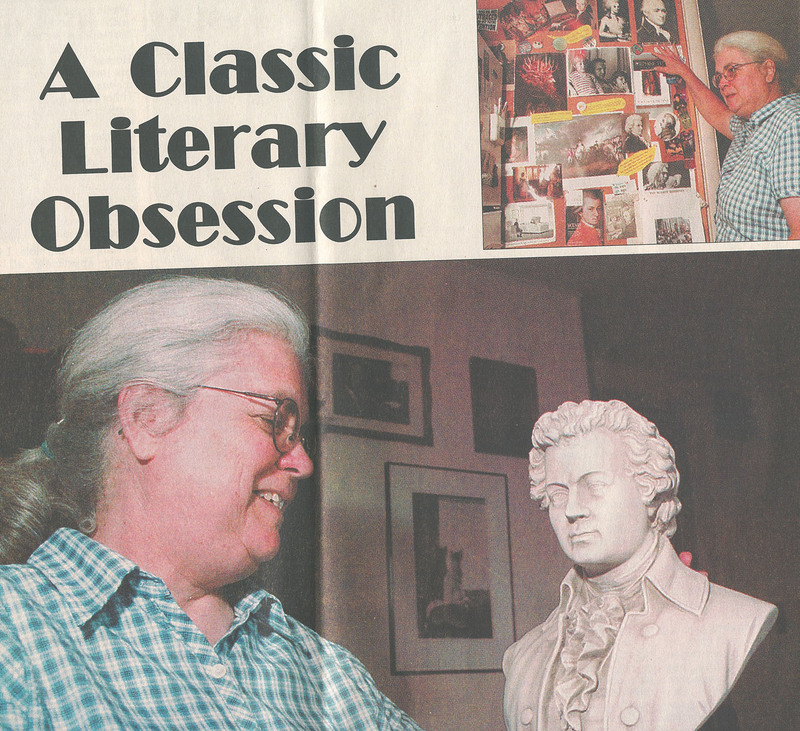 Here are pictures from the local Lebanon, PA newspaper taken in the early 2000's. A nice newspaperman (some of them aren't) came to the house, took pictures and asked lots of questions. To my surprise, much of my somewhat embarrassed chatter made it into the paper. It was a bit strange to have gone public with my mad obsession. That day, though, even my orange tiger cat "Hamilton" got into the act, as you can see, doing his "cute kitty" bit to the hilt. You can see how long ago it was by the size of that monitor. 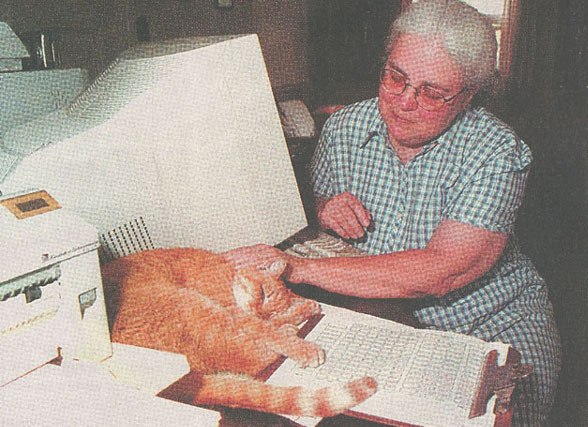 And you may also readily guess what book I was working on while these pictures of me and my favorite cat were taken. Back then, I had a party for Wolfgang every year, with a top notch bakery cake from a now defunct bakery. How pleased I was when I went into the back of the shop to speak to the chef and found a young German expert in residence! He was sympathetic; he knew exactly what I wanted. 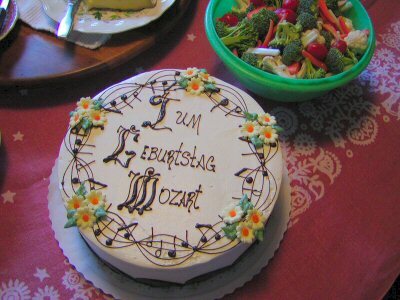 The first cake he made had musical notes as well as a host of lovely little white flowers with purple hearts. One of the last cakes from this talented pastry cook is pictured below. I had one experience that mirrors this image at the very height of my mania. One Halloween, Mozart appeared to me in my PA kitchen. I was making spinach lasagna while playing Don Giovanni at full rock'n'roll volume. Mozart's appearance led to a leap from one side of the room to the other, those pink high top sneakers I loved apparently giving me wings. This date, I knew, had special significance. 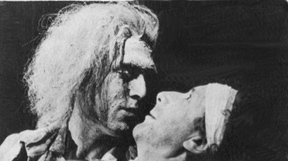 Don Giovanni had premiered in Prague on that same date in 1787. Poor Wolfgang! He was terribly pale and he looked ill, too. Just a flash--and then he was gone, but I was -- once I got over the shock of what I'd experienced -- deeply honored by that hallucinatory visit. Around this time, there was an active local writing group in the area to which I belonged as well as to the RWA, one of the few writer's associations that accepted the humble unpublished. This various group of writer friends from Maryland and Pennsylvania had talent; we were all going to conquer the world. It was all great fun. I do look back upon those parties fondly. Thank-you everyone who has read this far for your indulgence as I reminisced about those high energy early days. 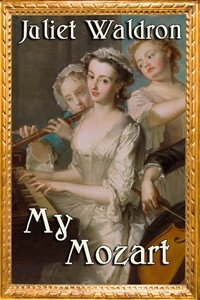 It also gave me an opportunity to show off the smart new covers for my three Mozart-themed books. The masterwork by a talented chef. Believe me, it tasted as good as it looks. Happy Birthday, dear Wolfgang! The Vienna Series, covers shown above, are all dedicated to you by your humble servant, just one of your fan girls, all these centuries later. "How do you develop different personalities in your characters? 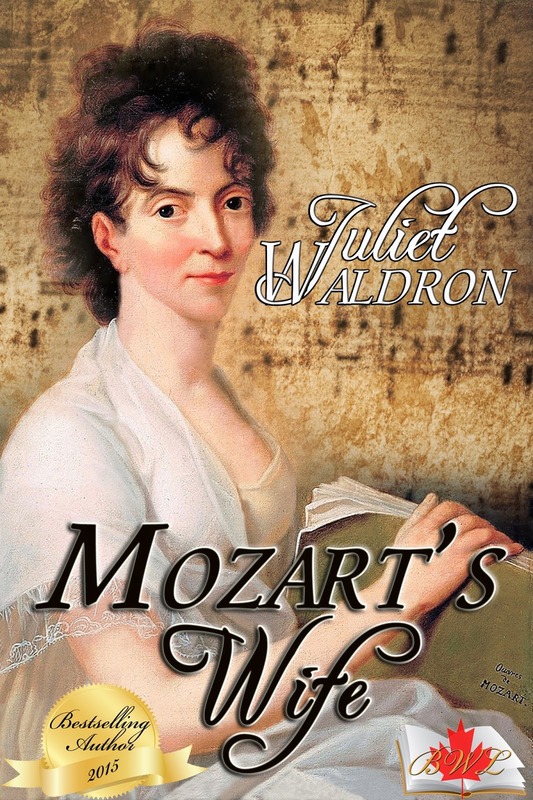 Do any of your secondary characters have a novel of his or her own?" This was a question posed to me when I was participating at a local writing workshop. I gave an answer to the 'newbee' writers which helped them with long-term writing goals, but I'd like to go into more detail in this month's BWL Insider Blog post. The ‘How’ of the writing is always interesting for me to analyze --especially in my own process (I don't always know how my processing works). 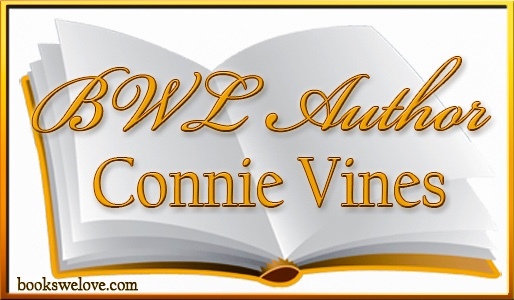 While I have detailed plot lines before I write a story or novel, I am instinctive when creating my characters. As I’ve blogged before, I begin with a sense of time and place. When the story in bubbling in my subconscious, I heard snippets of conversations, a song playing in my head (you know that annoying song simply leave you alone), or a impulse to cook a certain regional food. A few examples: When writing ‘Lynx” Rodeo Romance book 1, “Amarillo by Morning” kept playing in my mind. I located by paternal grandfather’s Tex-Mex chili recipe and made chili once a week. And then a brassy woman speaking with a Texas-twang and popping her chewing-gum would pop into my head (ala’ Flo’ in an old TV sitcom). We all know a novelist always falls in love with her ‘first hero’. My first romantic hero was Lynx Maddox. While his younger sister was only mentioned in the first book of my Rodeo Romance Series, she became by break-out character in the second book, “Brede”. 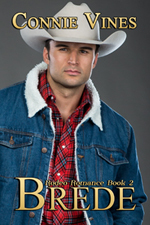 Whereas Rachel Scott and Lynx Maddox were the stars of my contemporary romance; Brede Kristensen and Amberlylnn Maddox stars shine in my romantic suspense novel, “Brede” Rodeo Romance book 2. Yes, this is my first reaction. And, of course, I rebel at the very thought of shoving my months of detailed research back into my file overflowing file cabinet. I’ve learned I am not able to force my characters to act against his or her nature. Painful though it may be, I listen and I shift my story-line. The first time I experienced this ‘traumatic’ writing experience, I was plotting, “Tanayia—Whisper upon the Water” my sweet historical romance. 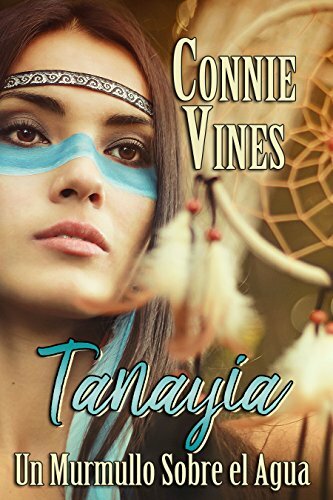 Tanayia was to be a member of the Paiute tribe of Native Americans. She was being groomed for the ‘taking of the shawl” (becoming a medicine woman). I was involved in Native American Education Programs, served on a PAC Committee (parent advisory council), and participated in powwows. I interview tribal elders and traveled to historical sites, etc. I’d plotted by novel down to a puppy’s freckle, so to speak. While Tanayia allowed me to keep the historical event which formed the opening event of my 1st chapter, I learned she younger. She was also a member of the “Nde” Apache tribe. Tanayia was also strong-willed and determined. My novel was not set in a different tribal area, difference climate, different customs, beliefs. . .well, you know what that meant. Yes, more research. I live within driving distance of Sherman Indian School in Riverside, CA. In fact, I attended powwows where the Apache (Fire) dancers from the White Mountain Reservation danced each year. In the end, Tanayia was correct. My story was her story. It was her life, her experience—it was history, accurate, painful. 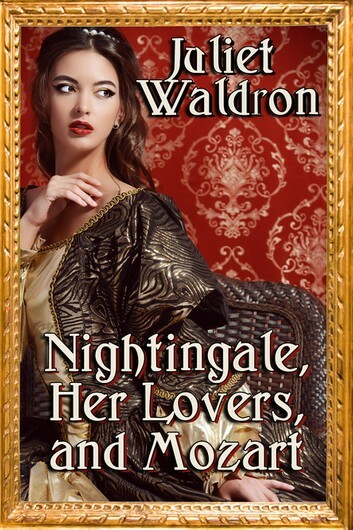 It was the personal growth of a young woman, torn between two-worlds. 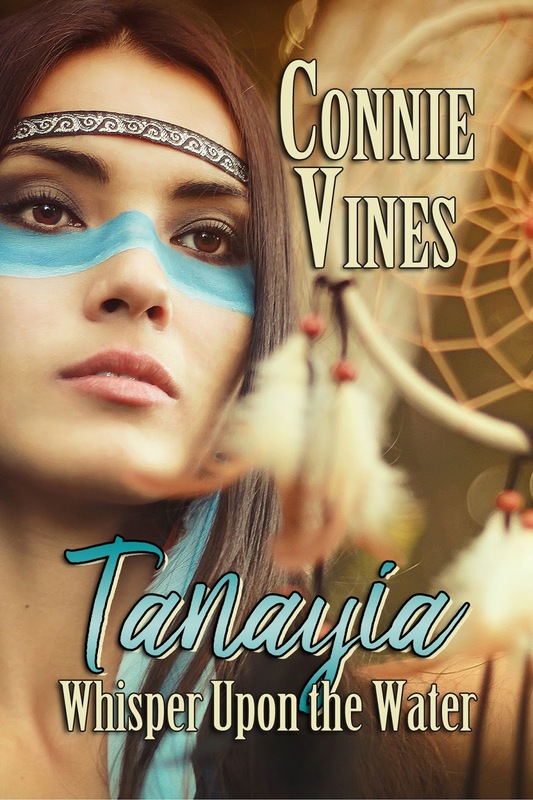 I must, in the end, thank Tanayia for the awards this novel was awarded: The Independent e-Book Award for YA Historical Fiction, The Dream Realm Award, and a National Book Award Nomination. Are more break-out characters evolving in my novels? Yes, there are a few nudging me now. Any guesses? Who is your personal favorite? Mary Billy? Anna Thunder? Or, perhaps Charlene? I also have a new hero, or two, with a foot hold in my plotting-world right now, too. Several live in the Cajun country of New Orleans, Louisiana; another on a wind-scarred reservation. 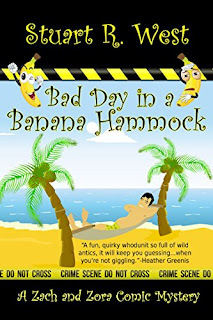 There is also an a unexpected heroine in an action-packed story sent in Hollywood, CA! Interesting world, one where people do not need to talk to communicate, but can simply access each other’s mind. In the Azura Chronicles, my angel planet harbors beings able to read minds… among other psychic powers. 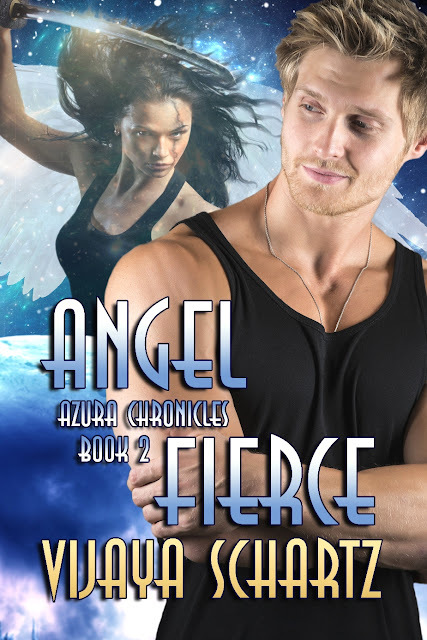 In my new series, Byzantium, starting this June, these angels and other mind readers interact on a space station. But would mind reading be such a rarity in the future? With the help of a little electronic implant, could we access other peoples’ minds like we access a phone or a computer by asking Alexa? Of course, it would start with such implants for government spies and rich magnates. But if it spread to the population at large, what would be the social repercussions of such technology? No more lies? No more crimes? No more privacy? Would we behave the same way if our mind were an open book? Would thoughts be monitored by the authorities to deter crime and terrorism? Would people get arrested for criminal intent without actually committing the crime, like in the Minority Report movie? Would more people commit suicide to avoid public shame? Of course, the bad guys would find a way to circumvent the technology. Some governments might want to do the same. All governments keep secrets. Can we handle full transparency? The same way pioneers went west to escape war, misery, and strict political and religious rules, I believe people would try to escape such invasive technology to return to a simpler way of life. And there are plenty of opportunities in space. Wild planets needing settling, living off the land, etc. 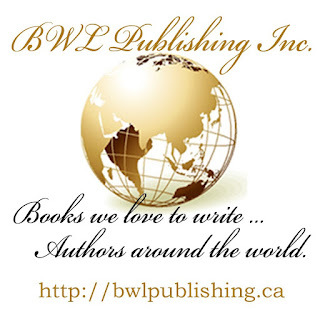 As a writer, I find all these issues fascinating, and I see many potential stories there. I believe writing the possible future takes a dose of philosophy... and some responsibility. I like to think my picture of the future sheds light on potential future problems, and brings some hope for those who will follow in our footsteps. 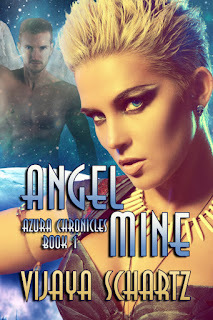 In the meantime, catch up with the Azura Chronicles series with Book One, ANGEL MINE.